Few things are as sophisticated as matte black anything. 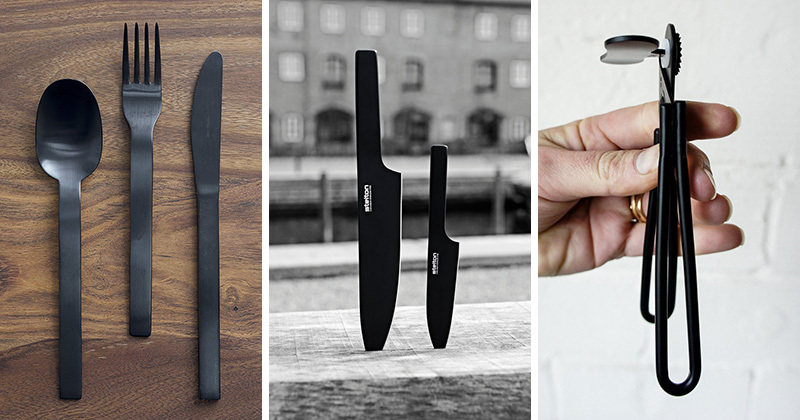 So to help you create your own modern kitchen full of black elements, we’ve compiled a list of 11 black accessories and essentials to add to your kitchen. 1. 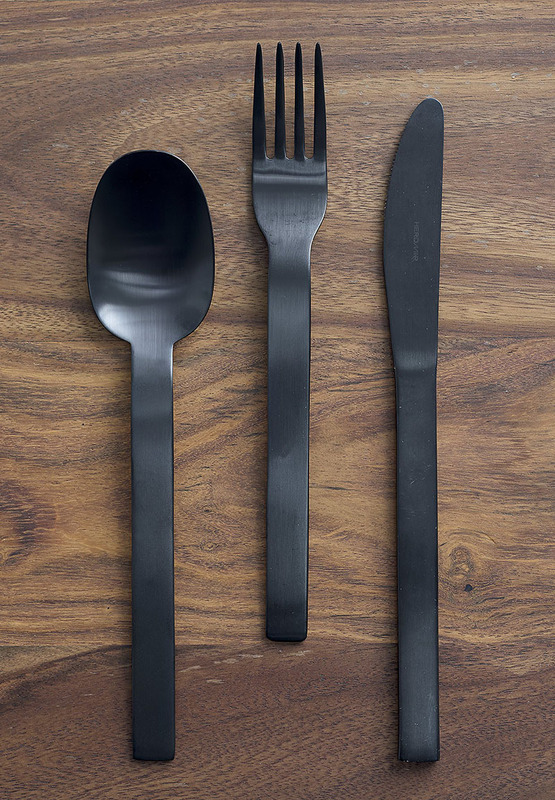 Matte black cutlery adds a modern touch to your kitchen and will work with any color scheme you bring into the space. 2. 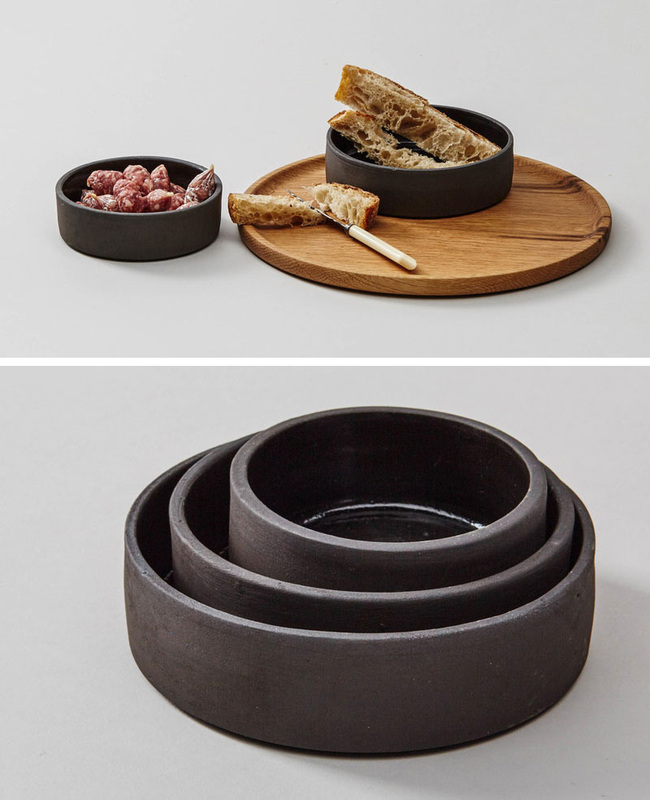 These black ceramic stacking bowls are a great way to bring in a bit of black into your kitchen. 3. 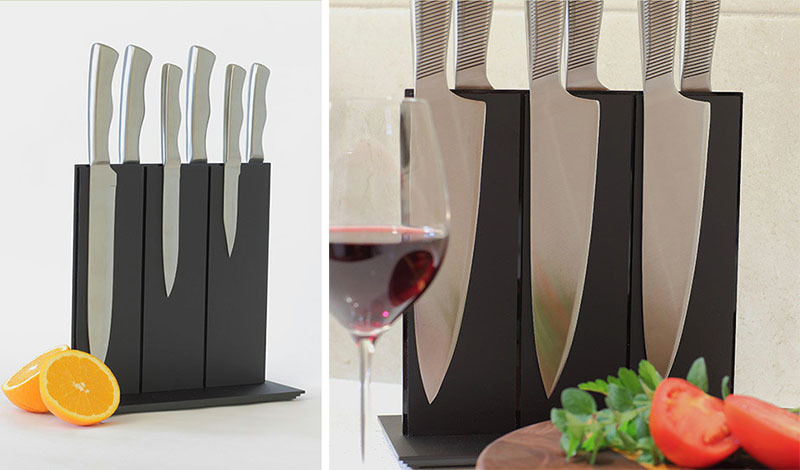 Easy to use and simple to clean, this matte black magnetic knife block is perfect for the modern kitchen. 4. Matte black pots and pans with wood accents on the handles and lids, add a natural touch to this kitchen and contribute to the overall modern look. 5. Make perfect popcorn every time with a matte black stove-top popper that also adds style to your kitchen. 6. 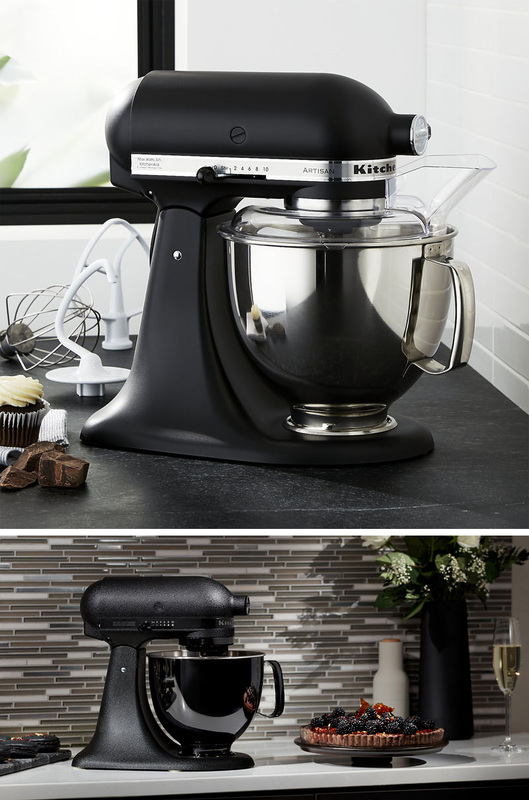 A matte black stand mixer is the ultimate display of luxury and allows you to bake the fluffiest cakes and cookies. Matte Black Stand Mixer from KitchenAid. Available from Amazon. 7. 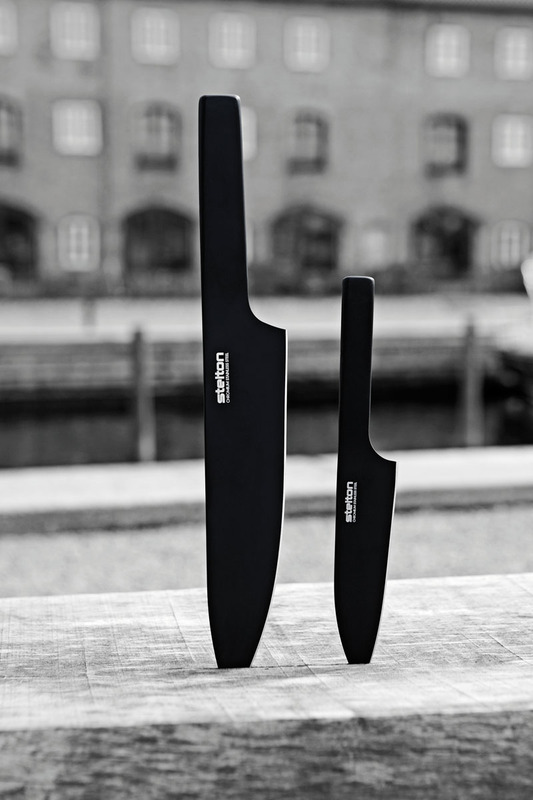 Prepare your food with sleek matte black knives that turn beginner chefs into pros just by holding them. 8. 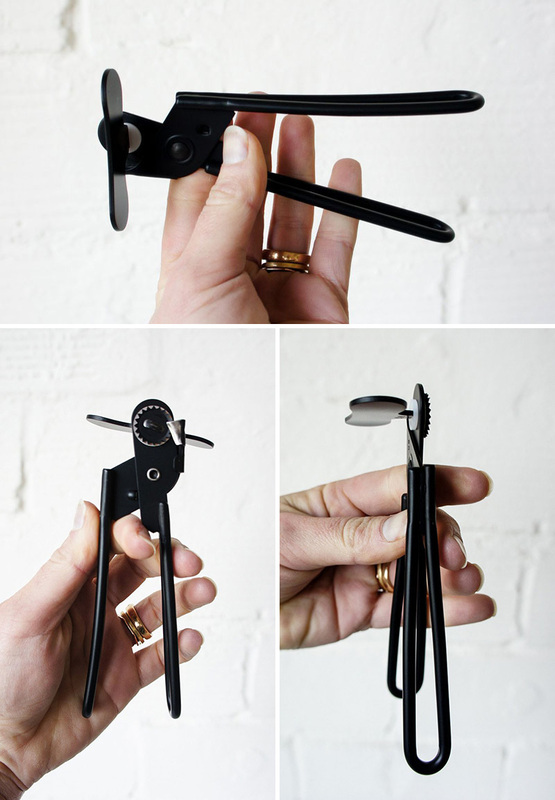 A minimalist matte black can opener makes opening cans a sophisticated and stylish task. 9. 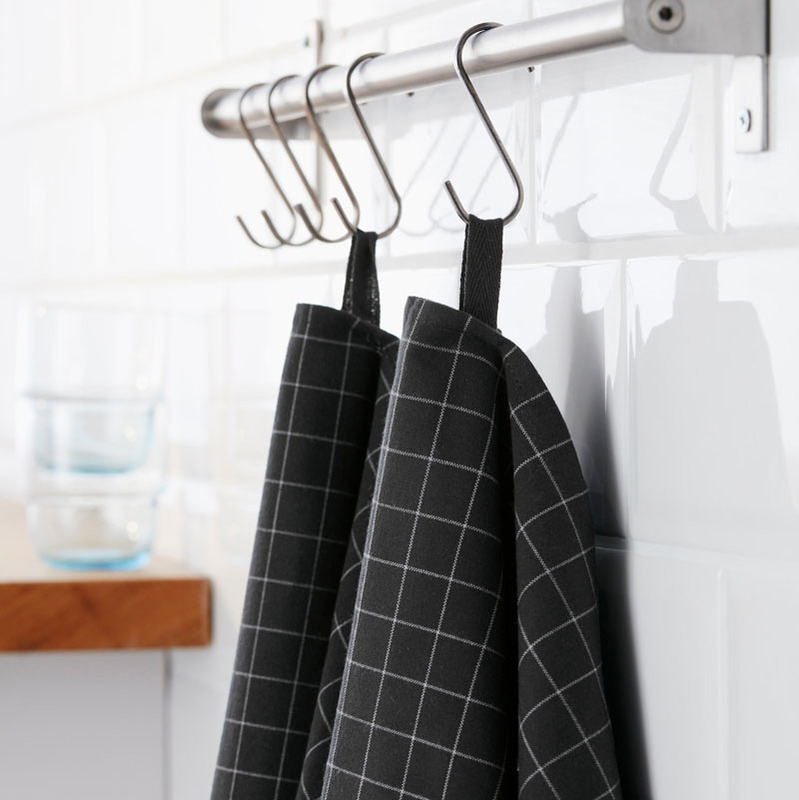 Keep on top of spills with minimalist black tea towels that can easily be hung from hooks or casually draped over your shoulder while you work. 10. 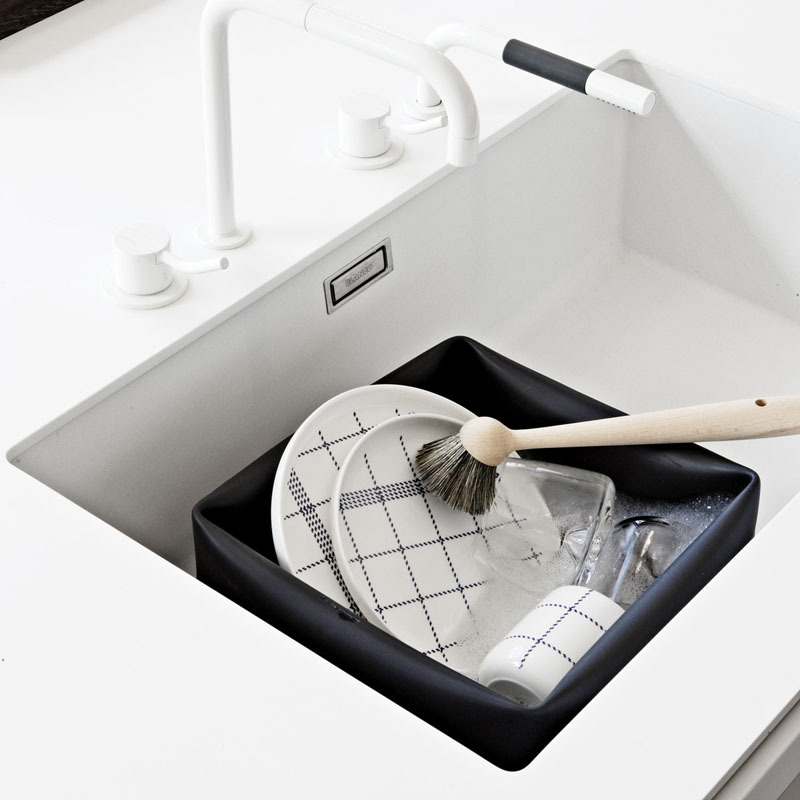 When you’re done cooking in style, clean in style with this black rubber washing bowl that helps you conserve water while still getting sparkling dishes. 11. 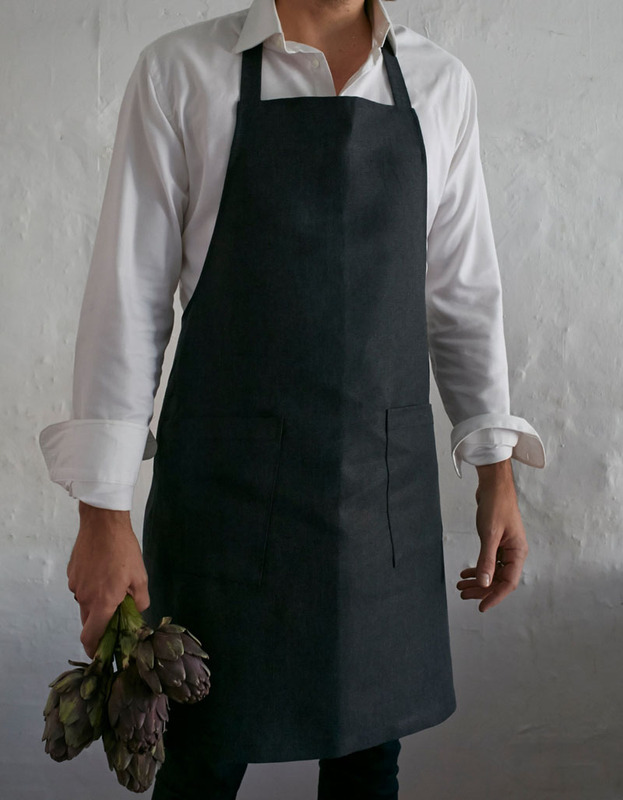 Black aprons add style to both the kitchen and the chef and help keep things from getting too messy in the kitchen.